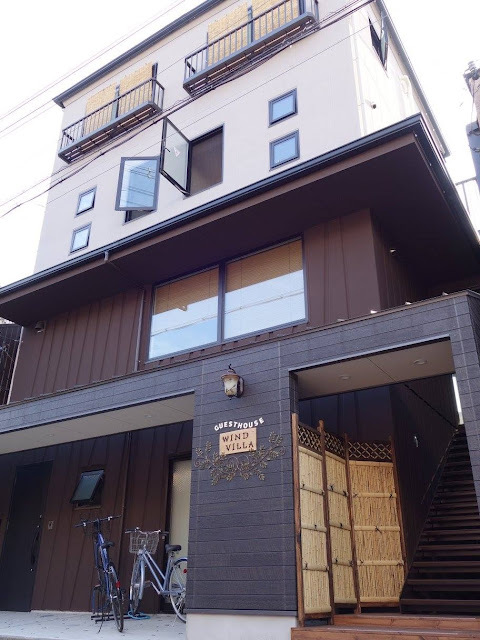 These are the hostels/guesthouses in Kyoto that I have stayed in. 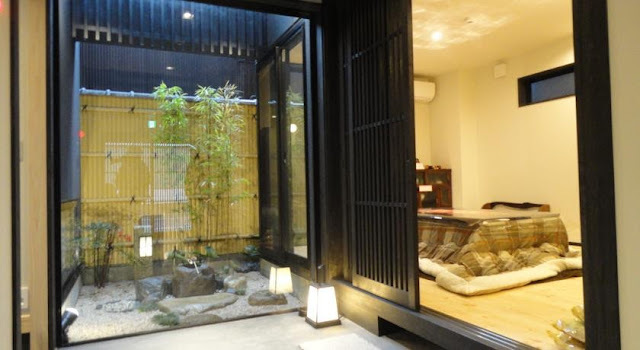 All are within a 10- to 13-minute walk (900 to 1100 meters) from Kyoto Station. Distance from Kyoto Station: About 900 meters (10-minute walk). Nearest station: About 300 meters to Shichijo Station (Keihan Line). 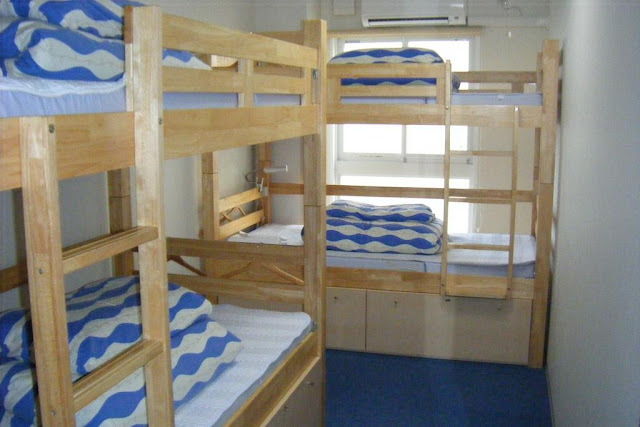 Five-storey K's House Hostel has 4-bed, 6-bed, and 8-bed dorms, and private single, double/twin, triple, and quad rooms. The rooms though, whether dorm or private, share a common toilet and shower. The good thing is that there are shower rooms and toilets on every floor. Shampoo and soap are provided. Towel though is not, but can be rented for 100 yen. Rooms on the upper floors can be accessed by elevator or stairs. Shoes should be taken off when entering the hostel; slippers and shoe lockers are provided. My friends and I stayed in their 4-bed mixed dorm in November 2015. Since we were four in the group, our 4-bed dorm became our own little space (private room)! The room was neat and tidy and the beds were comfortable. There was enough space to move around (luggage can be stored in the cabinets under the bed). We were already halfway through our 10-day trip and we were glad we could do our laundry at the hostel (300 yen for washing machine and dryer). Breakfast is not included. 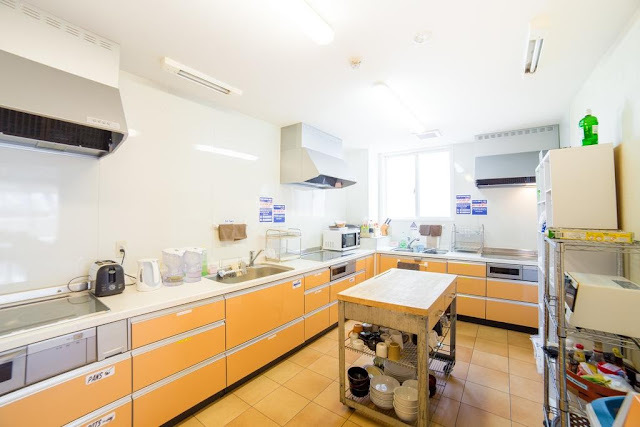 But the hostel has a kitchen where guests can cook and a big enough common area to eat meals in. 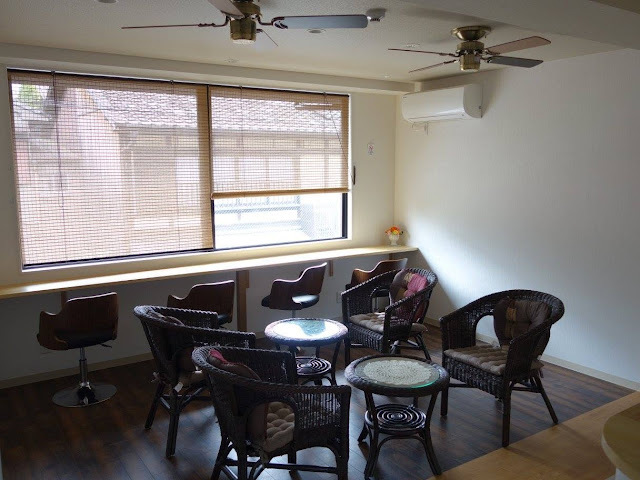 The hostel also has Zen Cafe on the ground floor, open from 8AM to 12MN. Plated breakfast is served for 500 yen. There are also convenience stores nearby. Luggage storage is available between 7AM to 11PM. 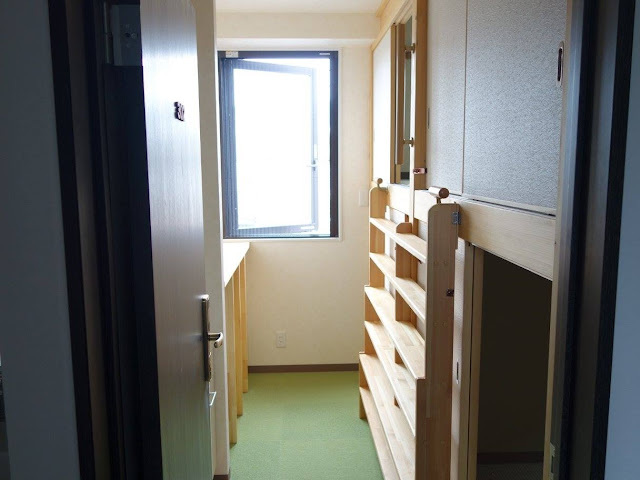 Dorm beds start at 2400 yen. Private rooms start at 3800 yen. Distance from Kyoto Station: About 1100 meters (13-minute walk). 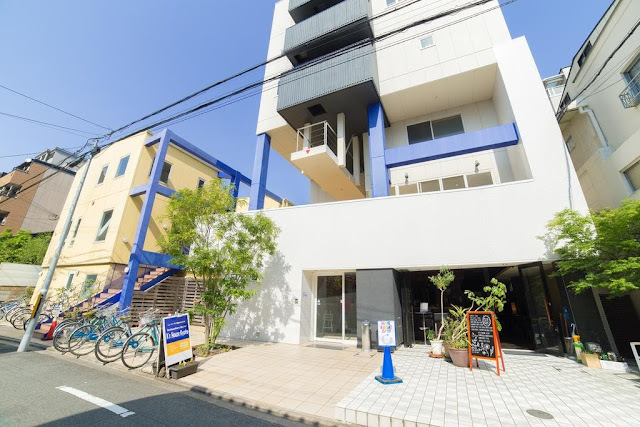 Nearest station: Just 100 meters to Shichijo Station (Keihan Line). The lobby to Guesthouse Wind Villa is on the second floor and the rooms are on the third and fourth floors. That means everyone has to do a little weight lifting with their own luggage (read: no elevator). The common area, kitchen, and laundry area (washing machines are free to use; 100 yen for laundry soap) are all on the second floor. Guesthouse Wind Villa has female–only and mixed dorms, and private single, double, and triple rooms. During my solo trip in November 2016, I stayed in Guesthouse Wind Villa's dorm room which had capsules, not bunkbeds. The capsule space, at least the bottom ones, were amazingly comfortable and spacious. I could sit up and not bump my head and I could even rummage through my luggage and store my luggage inside the capsule (though there is a luggage rack in the room). Each capsule has two power outlets, a lamp, and coat hooks. There are a couple more power outlets in the room (outside of the capsule). None of the rooms have an attached shower nor toilet, but some rooms have a sink (my dorm room had a sink). 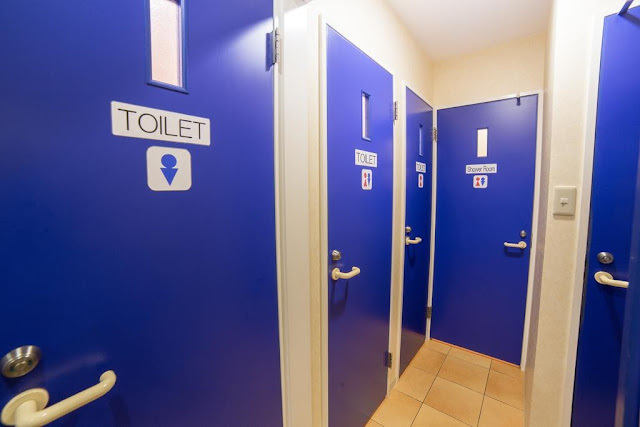 Each floor has two toilets (one for each gender), but the shower rooms are only on the second floor. Though there are only three shower rooms for the entire guesthouse, I never had to wait; there was always one available. Each shower room has a changing area and dispensers for soap and shampoo. A towel is also provided for each guest. 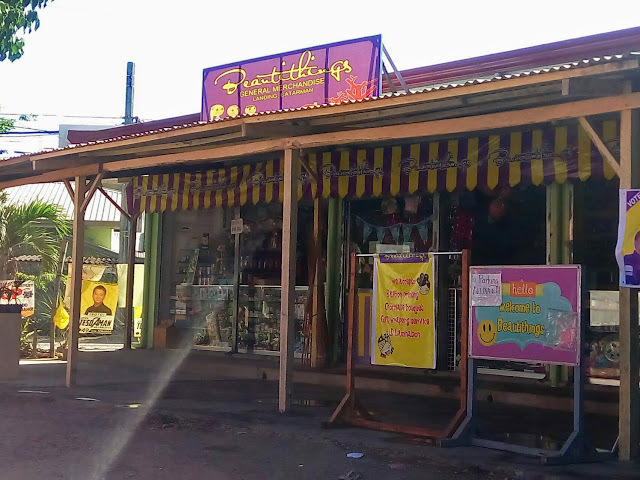 Breakfast is not included but there are many convenience stores and restaurants nearby. Guesthouse Wind Villa is tidy and well maintained and the staff (during my two-day stay, I have only seen two: a man, who I think is the owner, and an elderly woman, who I am guessing is his mom) were kind and friendly. The man could speak English well, while the elderly woman couldn't, but she was so motherly that I had to give her a hug when I picked up my luggage (luggage storage is available from 8AM to 8PM) to leave. Dorm beds start at 2800 yen. 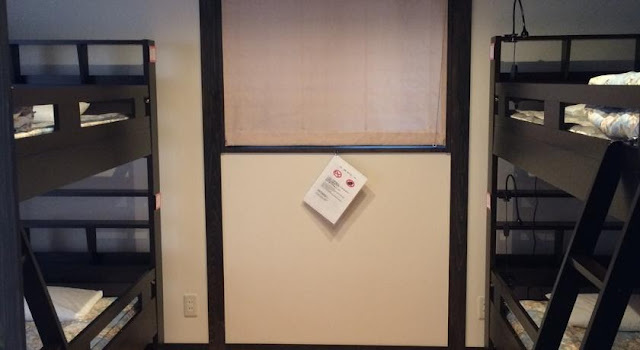 Private rooms start at 4500 yen. Nearest station: About 600 meters to Gojo Station (Kyoto Subway). 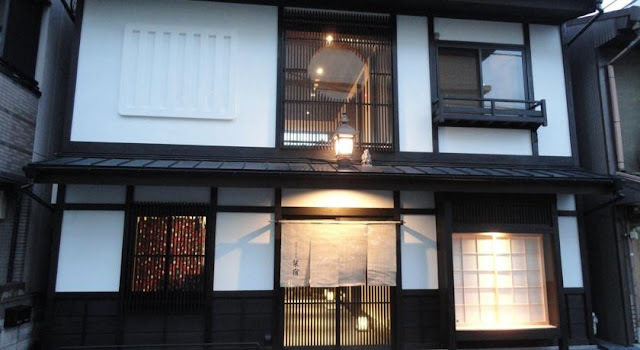 Shiori Yado is a machiya (townhouse) that has been turned into a guesthouse. 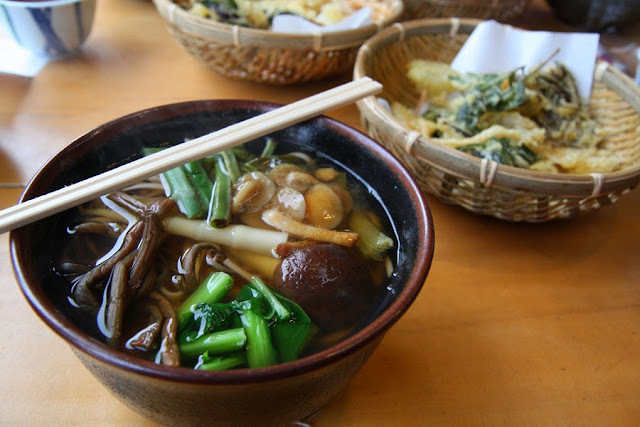 It is located in a quiet residential area (I didn't find any convenience store within a 5-minute walk) and just next to Shosei-en Garden. Good thing I had looked at photos of the guesthouse beforehand for it would have been difficult to spot because it looked like a private home and not a guesthouse—the only indication that it was a guesthouse was a paper with very small "Shiori Yado" printed on it that had been stuck on the wall. Shiori Yado is very clean and looks very new. It has a traditional feel to it with a garden. It has private rooms and dorm rooms; the dorm rooms are on the second floor and the private rooms on the third. On the ground floor is the reception, garden, bath, and small common room and kitchen. I stayed in the dorm room (a spacious room even with two bunk beds) and on the first night I had the room all to myself! Guests are expected to make their beds themselves (put the bed, pillow, and blanket covers on), which wasn't really a problem for me, but it might have been had I arrived in the guesthouse really tired and wanted to lie in bed right away. Each bunk bed has a lamp and a power outlet. The dorm rooms though cannot be locked when going out because guests aren't provided with room keys. There are two shower stalls on the second floor. The changing area is outside the shower stalls and the only form of privacy is a curtain. 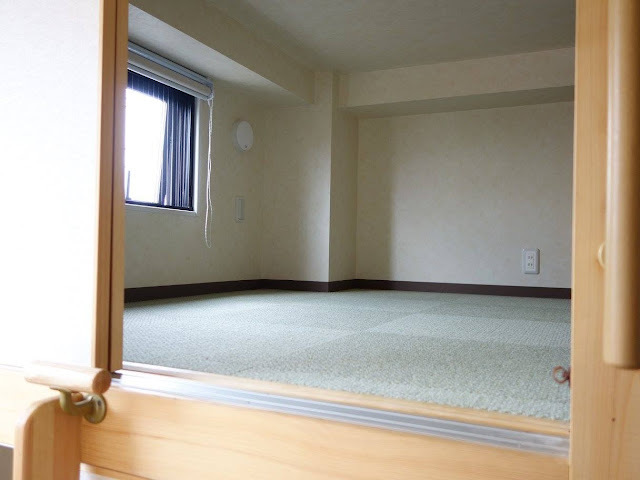 Towels are not provided, but can be rented for 200 yen. 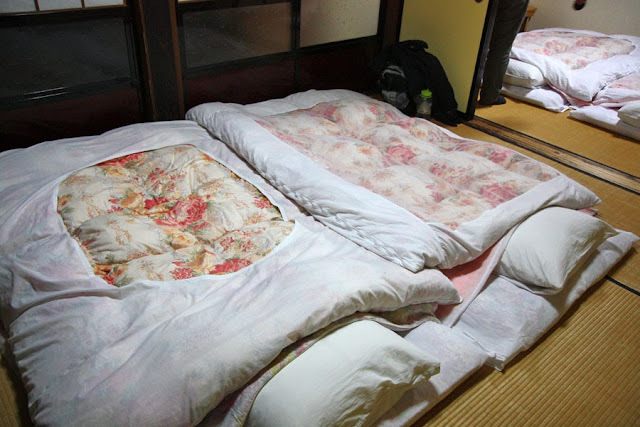 Dorm beds start at 3500 yen. Ooops! I had forgotten to take photos, so I just grabbed all of the above images from booking.com. We rose with the sun on a Sunday (on a Sunday, imagine that! ), hurriedly washed the sleep from our faces, dressed, tidied and locked our little airbnb apartment, and stepped out into the 12˚C Tokyo morning. We dragged our luggage along the pavement to Shinjuku Station, passing by intoxicated costumed people still up from a long night of halloween partying. We stifled a laugh and puzzled over what a guy wearing just a pullover and briefs was supposed to be. 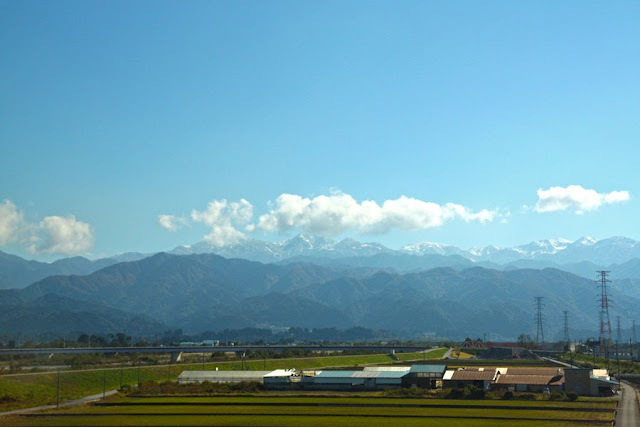 But there was no time for guessing, we had to hurry in order to make two transfers and not miss the infrequent bus to our destination: a hamlet called Ainokura, a UNESCO World Heritage Site located in Toyama Prefecture, some 400 km west of Tokyo. 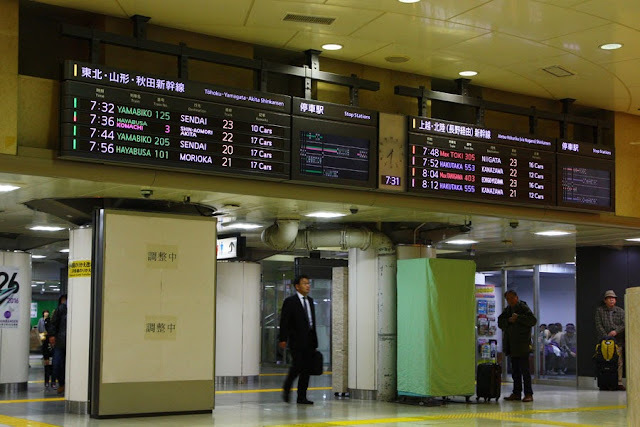 From Shinjuku Station, we took the JR line to Tokyo Station. 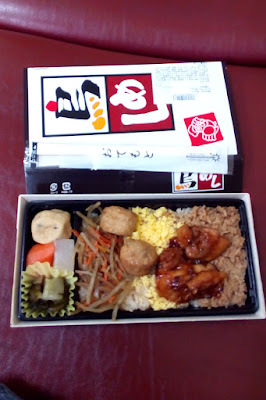 In Tokyo Station, we bought boxed meals from one of the many stalls before hurrying to find the right platform for the Hakutaka train on the Hokuriku Line (the shinkansen line that connects Tokyo and Kanazawa). 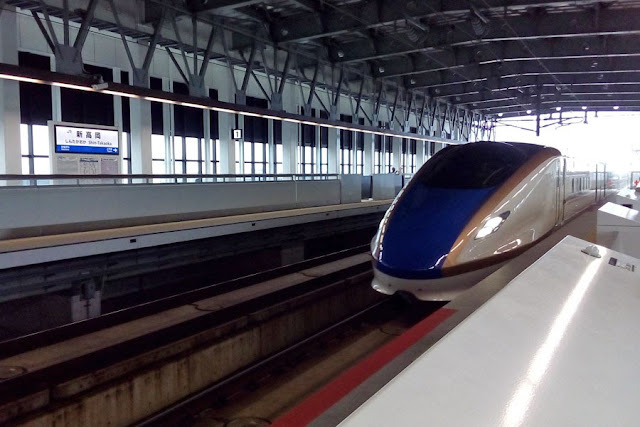 At 260 kph, the scenery zoomed from an urban jungle to mountains and green fields and soon our stop (Shin-Takaoka Station) was announced and our three-hour shinkansen ride was over. Before proceeding to the bus stop just outside Shin-Takaoka station, we dropped by the tourist information desk to ask for the bus schedule and to ask where the coin lockers were. 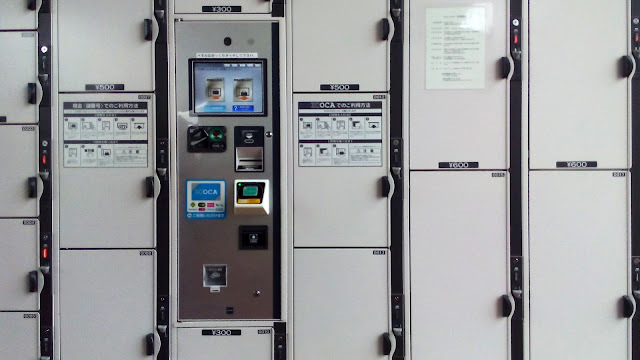 Since we were staying just a night at Ainokura, we decided to leave our bags in coin lockers in the station and to bring only what was necessary for a one-night stay. The one-hour bus ride didn't seem long at all. We were dropped off on the side of the road and the bus driver pointed to a path off to the side of a deserted parking lot. It was a pleasant 5-minute walk along a narrow tree-lined and leaf-strewn 300-meter long path. 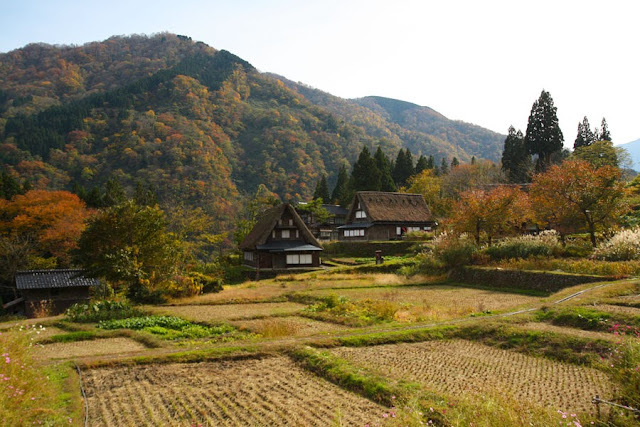 And then the path gave way to wide open space and our eyes beheld a wondrous rural landscape: some twenty farmhouses with tall A-shaped thatch roofs (gassho-zukuri or gassho-style, like hands pressed together in prayer) embraced by mountains all ablaze in warm autumn colors. Ah, it was love at first sight. We found our house, thanks to the wooden sign outside: 五ヨ門, which we knew to mean as Goyomon. We knocked on the door, but there was no answer. 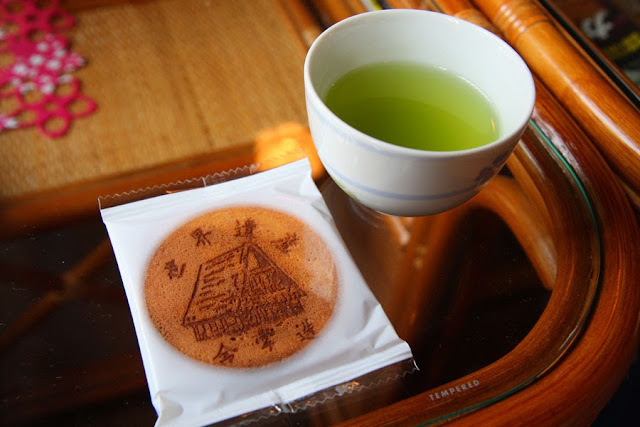 We tried the door, it was unlocked, and we gingerly walked into the genkan (entryway, usually recessed or lower than the main house) calling out sumimasen (すみません excuse me) until a motherly figure appeared from the kitchen wiping her hands on her apron. She welcomed us in her limited English while we struggled to get out of our shoes and slip into the house slippers waiting on a wooden shelf off to the side of the genkan. She led us across a tatami room (a room with woven straw mats as flooring; we had to remove our slippers before entering) then opened the fusuma (sliding door) to our room: a bare tatami room with sliding doors on all sides, and on the corner, a basket of neatly folded yukata (a robe, or a casual version of a kimono). In a few strides we walked the perimeter of our room as a way of inspection and dumped our bags in the farthest corner, then trailed after our host: crossed the tatami room, slipped our house slippers on, and continued through the wood-floored hallway, leading us to a table in the back where she then brought us a pot of matcha (green tea) and biscuits with a drawing of a gassho-style house. We took our time nibbling and sipping our welcome biscuit and tea. Curious if there was a garden out back, I opened the shoji (wooden sliding door with translucent paper), letting in the chilly mountain air and unfolding a scene that made me immediately thank God that we were brought to this corner of Japan. We spent the day walking around Ainokura, hiking to the viewpoint, admiring the houses and the backdrop of mountains awash with the colors of autumn, and rubbing our hands to keep the autumn chill away. We ate lunch at Matsuya, a restaurant, souvenir shop, and convenience store all crammed under one gassho-style roof. 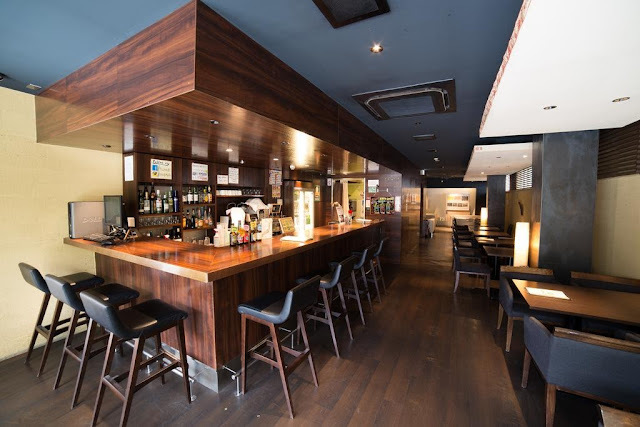 (There are only two dining options in Ainokura.) 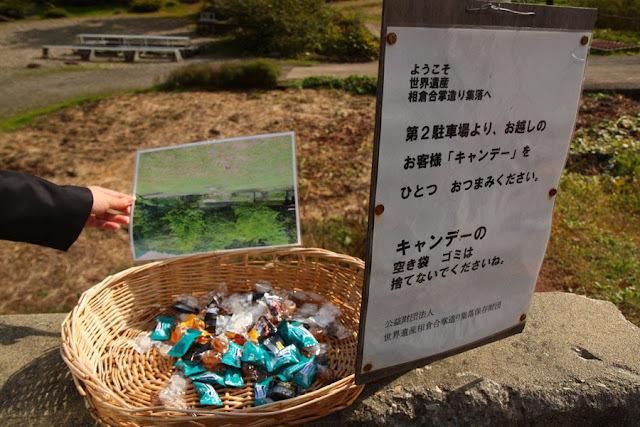 There were a handful of Japanese day trippers doing the same things we did. Ainokura is a small village but we managed to spend all our time outside. Only when it started to get dark and all the day trippers had left and there were no other tourists but us did we decide to call it a day and head back to Goyomon, where we found our room already laid out with warm futon. My friends and I rejoiced when we found we were the only guests that night and more rejoicing when we found out that Goyomon had a private ofuro (a Japanese bath). We were afraid we'd have to go to a sento (public bath house) because we were told, when we made the booking, that Goyomon didn't have a private bath. In the ofuro was a low tap with a detachable showerhead, bottles of shampoo and bath gel (all labeled in Japanese syllabic script or kana), a low plastic stool in front of the tap, and a bath tub of hot water. I was the last to use the ofuro and I knew (hoped) my friends were smart enough to soap, shampoo, and rinse before soaking in the tub! My hair was still dripping and my yukata askew when we were called to have dinner. 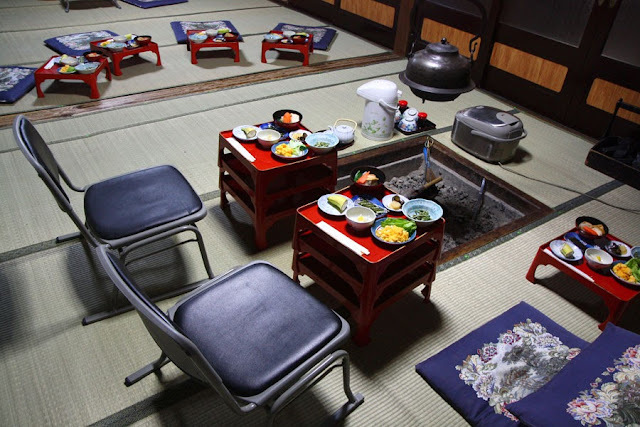 In the tatami room just outside our bedroom, zabuton (thin pillows for sitting on) and gozen (small low tables) with a delicious looking dinner was already set up around the irori (sunken hearth used to cook food and heat the room). Joining us for dinner were the couple who owned Goyomon and their friends, three grannies aged 66, 83, and 96. 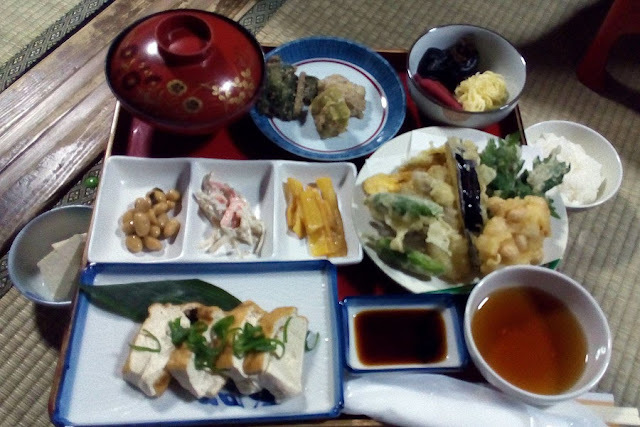 The home-cooked dinner was so good that I ate everything that was served and had to loosen my yukata's sash. The host's 66-year-old friend who was drinking some kind of Japanese liquor offered us drinks but we declined. 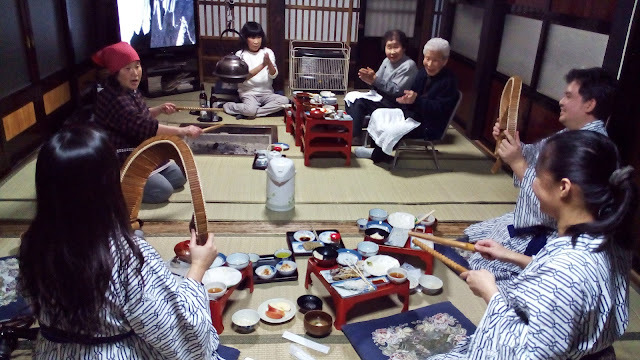 After dinner, our host showed us a video of her daughter performing and playing a traditional wooden musical instrument called a sasara (made up of 108 wooden slats joined together by rope). When the performance ended, she brought out two sasara and two sets of wooden sticks (I don't know what these sticks are called) and taught us how to use these traditional Japanese percussion instruments. When she deemed our musical skills satisfactory, she sang the oldest folk song in Japan called Kokiriku-bushi, but in a faster pace and a livelier manner, and we laughingly fumbled with our instruments as we tried to keep up with her singing. The night went on with conversations in two languages: us in English, them in Japanese. We bridged this gap by treating our conversations like we were playing charades. At one point the topic (or category, if you will) was local life. One granny drew a horizontal line in the air with her right hand, and the other hand at hip level, a fist. None of us understood what it meant. The grannies took turns in gesturing and making sounds, helping each other to get the message across, but still our faces were big question marks. Eventually, after I don't know how many tries, everyone (us and them) burst out laughing when we understood what they were saying: That because of the heavy snow during winter, they have to dig two meters just to get a potato! It was a night filled with laughter and it went by quickly. Soon it was time to retire to bed, but before doing so I went to the washroom to brush my teeth. Midbrush, 66-year-old drunk grandma walked in and gave me a hug! (I guess she found my roundness and fluffiness irresistible! Haha!) I hugged her back and through the bubbly toothpaste in my mouth bade her oyasumi nasai (おやすみなさい good night). Breakfast was already waiting when we woke up. Mealtime this time was quiet and behaved (with grandma already sober). We only had three hours left in Ainokura and before we had to leave for our next destination, we went to Ainokura's museums: Ainokura Folklore Museum and Ainokura Traditional Industry Museum (350 yen for the combination ticket). 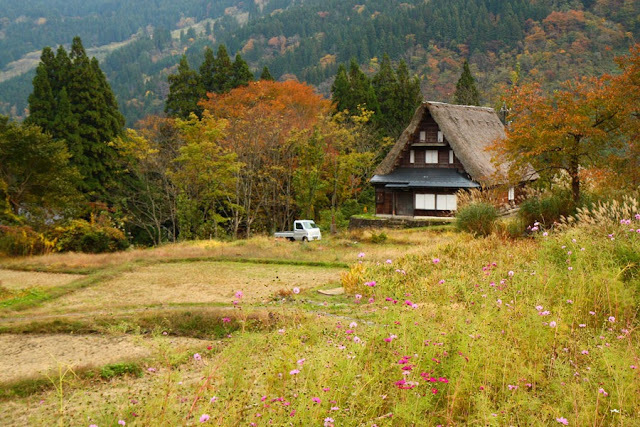 The Folklore Museum showcases life in Gokayama region with displays of tools and other things used in daily life. 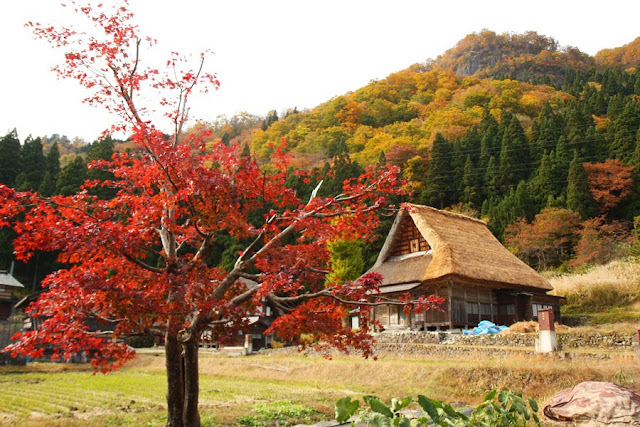 It also has information on how gassho-zukuri houses are built and why they are built that way. The Traditional Industry Museum tells about the industries of Gokayama such as making washi paper and silk (sericulture). It would have been nice to try our hand at making washi at the Gokayama Washi Workshop, but our time was up: we had to catch the bus back to Shin-Takaoka Station, retrieve our bags, and then take two train rides to our next destination. Four hours on the road until we reach Kyoto. 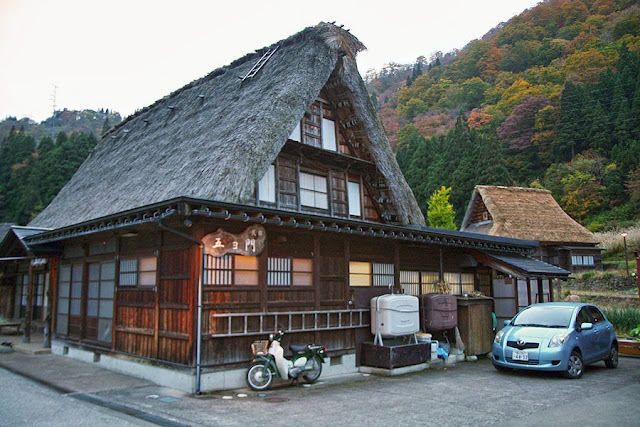 Accommodations in Ainokura: There are six minshuku in Ainokura and an overnight stay (with dinner and breakfast) ranges from 8800 yen to 15000 yen per person. We stayed in Goyomon and it set us back 8800 yen each (this was November 2015). (Book Goyomon through booking.com.) It was the most expensive accommodation I have ever spent on but the experience was well worth every yen I had to coax out of my pocket! If time and money had permitted, I would have loved to have stayed one more night. 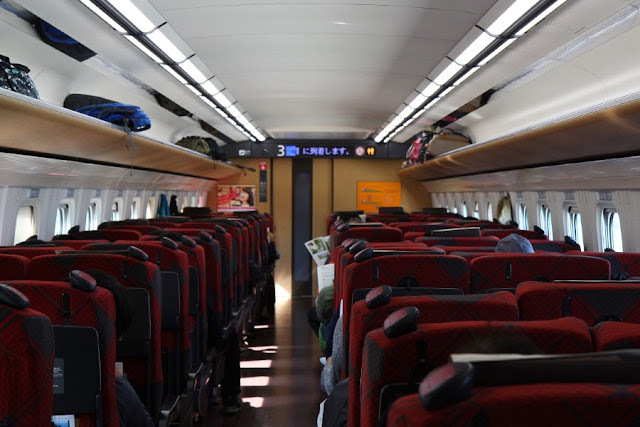 Directions from Tokyo to Ainokura: Take the Hokuriku shinkansen from Tokyo Station to Shin-Takaoka Station (3 hours; fare is at least 13000 yen). At Shin-Takaoka Station, take the Kaetsuno World Heritage Bus headed for Shirakawago, but alight at Ainokura-guchi bus stop. The bus ride takes an hour and will cost 1000 yen. 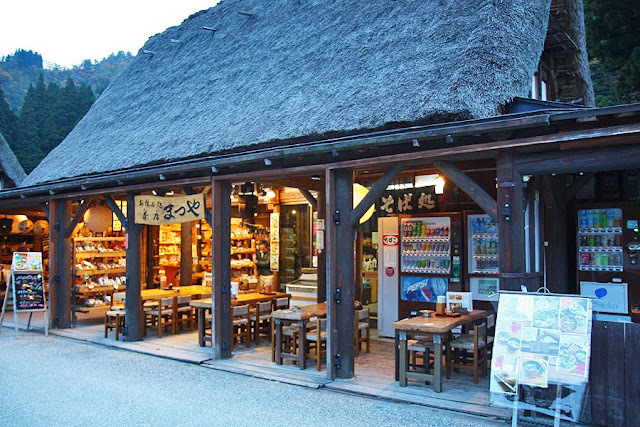 Note that buses from Shin-Takaoka go to Shirakawago five times a day only. 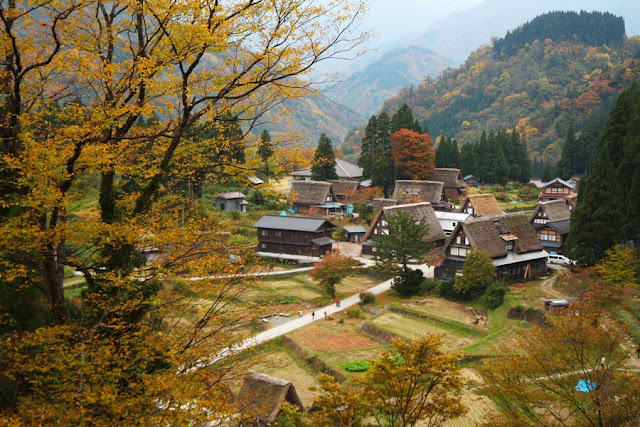 UNESCO World Heritage Site: There are three historic Japanese villages included in the UNESCO World Heritage Site list: Ogimachi in Shirakawago in Gifu Prefecture, the largest (59 houses) and the most popular, and the two smaller villages in Gokayama in Toyama Prefecture: Ainokura (23 houses) and Suganuma (9 houses). 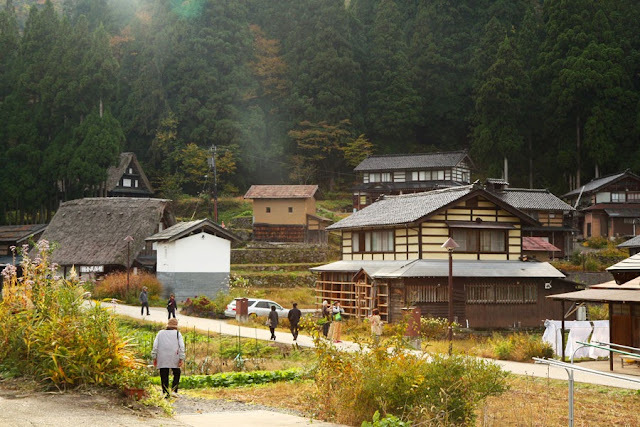 These villages are not open-air museums but are real villages where people live. When visiting these villages, please keep in mind to behave and keep voices down. 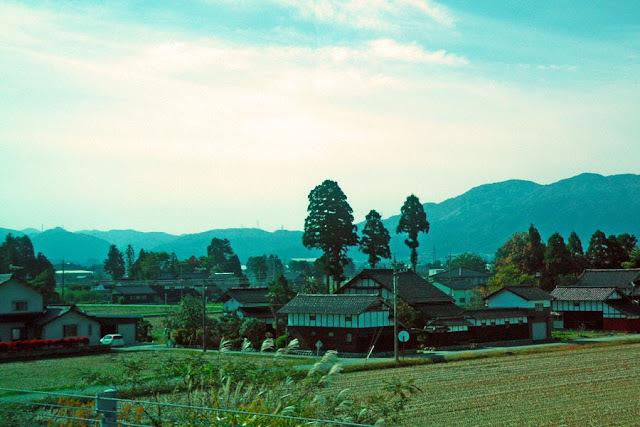 Further reading: Here's a good read about the Ainokura that I saw, learned, and experienced but didn't have the talent to put down in words: The Temporal Shift of Ainokura Village. Large subway stations have many exits. Choose the right one (closest to your destination), not just any exit. Of course you can still find your way above ground even if you take the farthest exit from your destination, but you might have to go a long way around buildings and properties to get to where you want to go...or you might find yourself on the other side of the train tracks.